Despite the ease of which hydrangea grow, they still manage to hold a mystique over some of the gardening population. Temperamental. Difficult to grow. While this belief may be far from the truth, there are a few things every gardener should know about hydrangea. By understanding hydrangea, you will be able to successfully grow these gorgeous wonders of the garden! What type of hydrangea do I have? The world of hydrangea is HUGE! Of the 70 to 75 species worldwide, there are 6 species that are most commonly grown in the U.S. Of those 6 species, there are over 600 varieties. Let me tell you – insane family tree! 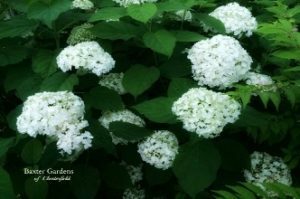 Bigleaf hydrangea is also referred to as mophead and lacecap. Leaves on this hydrangea are thick and smooth with a dark green, toothed edge. The blooms on mophead varieties (Hydrangea macrophylla) are made up of a large cluster of showy flowers while blooms on lacecap (Hydrangea macrophylla normalis) consist of tight buds in the center surrounded by showy flowers. While there are some white varieties of bigleaf hydrangea available, most varieties are blue, purple and pink. While mountain hydrangea is very similar to bigleaf hydrangea, varieties tend to stay smaller in size. They exhibit lacecap flowers that are typically blue or pink in color. The somewhat heart-shaped foliage of a smooth hydrangea is almost the opposite of bigleaf hydrangea. The foliage is dark green with a toothed edge but displays a matte finish and texture that is vaguely reminiscent of a perennial instead of a shrub. They are typically covered in white flowers although pink varieties are available. Smooth hydrangea blooms from late spring into summer. The leaves on panicle hydrangea are a medium green shade, noticeably thinner and have a rougher texture. Depending on the variety, panicle hydrangea blooms may be cone-shaped or round. The flowers can be full or sparse. 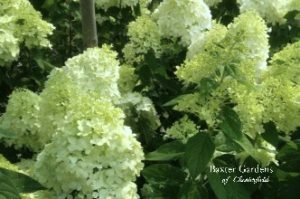 Sizes can range from 3 foot to 12 foot and, while some blooms may fade to shades of pink or red, all panicle hydrangea bloom white. With leaves shaped similar to that of oak tree leaves, Oakleaf hydrangea is the easiest to identify. All oakleaf blooms open white but often fade to pink or red. While this hydrangea can take full shade, it is ideally suited for partial shade to full sun where the leaves will turn a lovely shade of red in the fall. This mid-summer bloomer is a large, woody vine that will attach itself to most surfaces. 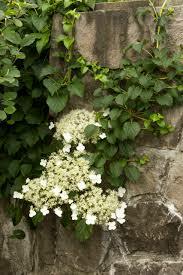 Climbing hydrangea produces numerous white and airy blooms and prefers some afternoon protection from the sun. When and how should I prune my hydrangea? 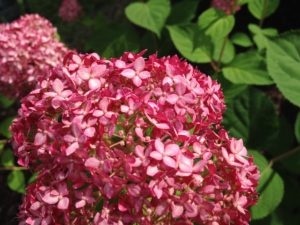 Improper pruning of hydrangea is the leading cause of flower loss on a hydrangea. Regardless of variety, proper species identification will allow you to know when, how, and if you should prune your hydrangea. Old Wood Hydrangea: Flower buds are set on last year’s growth in late summer / early fall. Old wood hydrangeas include Bigleaf, Oakleaf, Mountain, and Climbing. Old wood hydrangea typically likes to be left alone and often don’t require pruning. But, if pruning is necessary, to have flowers the following year, pruning must be done in summer (yes, it will still be covered with flowers). Pruning: Remove dead stems yearly. After the plant has been in the ground for 5 years or more, remove up to 1/3 of the stems beginning with old and weak stems. Cut these down to the ground. Removing the old blooms (deadheading): Can be done at any time. If you intend on cutting long stems for flower arrangements, deadhead in June or July. Exception: The Endless Summer series of hydrangea bloom on both old and new wood. This allows the buds from the old wood to provide early color while the buds on the new wood provide late season color. The best blooming will occur with no pruning but, if pruning is necessary, can be done at any time. New Wood Hydrangea: Flower buds are set on new growth in the spring. New wood hydrangeas include Panicle and Smooth. Pruning is seldom needed on panicle hydrangeas. To rehab an old shrub, remove 1/3 of the old damaged or crossing branches. This, as well as deadheading, can be done in the late winter or early spring. To control the size of over-grown Smooth hydrangea, cut back 6 to 8 inches or close to ground in the winter. Hydrangeas are surprisingly forgiving plants. Pruning them at the wrong time of the year will leave you without flowers for a season but won’t permanently damage the plant. 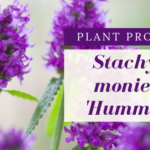 With an abundance of new varieties available in a multitude of sizes, choosing the perfect hydrangea helps to eliminate the need to prune thereby creating worry-free hydrangea. Why isn’t my hydrangea blooming? Time: Hydrangeas can take anywhere from 2 to 5 years before they are mature enough to bloom. Pruning: Hydrangea falls into 2 categories – those that bloom on old wood and those that bloom on new wood. Old Wood: These set flower buds on last year’s growth and begin setting those buds in late summer and early fall. They should be trimmed sparingly and, if necessary, immediately after bloom. New Wood: These set flower buds on the new growth that appears in the spring. They can safely be pruned late winter or early spring. Winter Temperatures: It’s not uncommon for us to get cold snaps that will cause dieback. 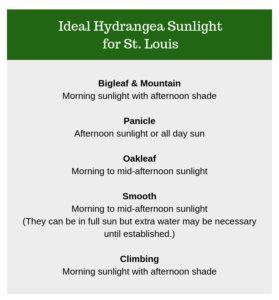 While the cold will most likely not harm panicle or smooth hydrangea, it can do damage to bigleaf, mountain, and oakleaf. Pruning your hydrangea at the wrong time is a common reason for not having blooms. But just because you haven’t touched your hydrangea with a pruner doesn’t mean that it’s not getting an unwanted hair-cut. 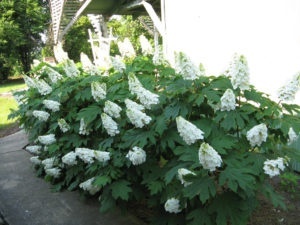 Animals, like deer and rabbit, are notorious for trimming hydrangea, and while there are products that you can apply – if you live in deer haven, be prepared for some missing blooms! Can I change the color of my hydrangea? The flower color of white flowering hydrangea cannot be changed to any other color regardless of species or variety. Many varieties, though, have been bred for the white flower to fade to varying shades of pink. Occasionally the flower will fade to brown instead of the anticipated pink, but this doesn’t mean that anything is wrong with the plant. Hydrangeas require cool evenings for the flower to change to the expected shade of pink. The color of Invicibelle Spirit Smooth Hydrangea cannot be changed. You do have some control over the color of bloom if you have a blue/pink bigleaf or mountain hydrangea. The color of these hydrangeas can range from pink to purple to blue and every hue in between. These hydrangea change their color based on the amount of aluminum available to them and the pH of the soil. 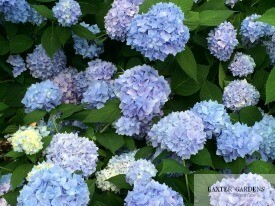 Blue: Aluminum is necessary to have blue flowers on a hydrangea. While aluminum is almost always present in the soil, it’s not always readily available to the plant. 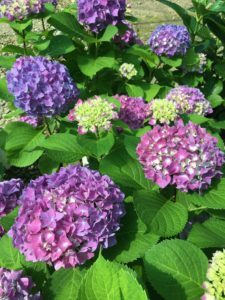 Lowering the pH of your soil will allow the plant to take up the aluminum necessary to change the color of the hydrangea bloom. Adjusting the soil to a pH of 5.5 and lower will make your blooms blue. A pH that runs between 5.5 and 6.0 will create flowers that are shades of purple. Soil acidifiers and Aluminum Sulfate are great ways to obtain blue flowers. When fertilizing, use a fertilizer that is high in potassium (last number) and low in phosphorous (middle number). Endless Summer flower color can be blue, purple or pink. Pink: A high pH will keep the plant from taking up the aluminum that is present. This will allow your plant to retain pink flowers. Should you have acidic soil, your goal pH is 6.0 and higher. Adding dolomitic lime will help you achieve this. Use a fertilizer that is high in phosphorus (middle number). One final thought on blue flowers: True blue hydrangeas are difficult to obtain and even harder to keep in St. Louis. Changing the color and keeping the color requires regular maintenance and attention. Also, if you have them planted near a house foundation, sidewalk, or any other structure that may leach lime – be prepared for them to revert back to pink. Whether you are adding them to a formal landscape or creating structure in a perennial garden, the versatility of hydrangea knows no bounds. And with the spectacular array of varieties that are available today – hydrangea has very much become a ‘plant it and leave it’ type of shrub! Feeling a bit overwhelmed? Check out THIS cheat sheet!